Party time! On the Monday, May 1 episode of Teen Mom OG, two lucky little kids got birthday parties, but their parents weren’t having quite as much fun. Amber Portwood and Catelynn Lowell were both dealing with outside pressure to get pregnant again and it was really dragging them down. Amber and ex Gary Shirley threw a joint birthday party for daughter Leah and even got their significant others — Matt Baier and Kristina Anderson — to to put the event together. The planning went well and the party went even better, so is this a sign of more cooperation between Amber and Gary? Maybe not! The fun came to an abrupt halt when Gary told Amber that she and fiancé Matt should have another kid. “I can’t,” Amber said before calling to Leah and announcing she was going to leave. Uh, Amber? Anything you want to tell Us? As it turns out, there was: In a later segment, Amber told producers she’d recently been rediagnosed with borderline personality disorder and bipolar disorder, meaning she will need to be on medication for the rest of her life. The meds could harm a fetus, and her conditions are too severe for her to go without the drugs during a pregnancy, meaning no new babies. But a composed Amber said she and Matt were going to move forward with their heads held high regardless. At the top of the episode, Farrah Abraham dropped a bomb on the Teen Mom OG producers: She was considering moving to San Diego, though she swore it had more to do with her neighbors in Austin being nosey than with her ex Simon Saran living in California. The entrepreneur revealed she was ready to pack and move that same day, but a friend suggested Farrah maintain homes in both Austin and San Diego. After all, she does own a frozen yogurt shop, furniture store and children’s boutique in Texas. “I don’t make bad choices,” Farrah insisted as she weighed her options, sure she’d figure out the right thing to do. While getting dinner with her father later, Farrah announced she was moving to San Diego, so it looks like she’s made up her mind. Leah wasn’t the only kid getting a birthday party this episode! Catelynn and Tyler Baltierra threw a bash for daughter Nova, and while the party was fun and all, Tyler’s mind was elsewhere. He wanted to have another baby, but Catelynn made it pretty clear she wasn’t ready for another pregnancy, considering the tough time she had with postpartum depression after giving birth to Nova in 2015. The couple spent the rest of the episode debating having another baby, but ultimately, it’s up to Catelynn. She has a long-acting, reversible contraceptive implanted, so to get pregnant, she’d have to have it removed. A producer noted that that was a smart move because it forced her and her husband to actively choose their pregnancy, unlike the route they took at 16. Maci Bookout was slowly trying to get son Bentley more interested in spending time with his dad, Ryan Edwards. But the little guy wasn’t really into it because he wasn’t used to having Ryan around, even though the former teen dad had been making more of an effort to see his son lately. In the end, Bentley just wanted to spend Thanksgiving with Maci’s family instead of his dad’s. Ryan’s parents blamed Maci for Bentley’s absence at their Thanksgiving gathering without realizing he himself had chosen not to go. Ryan, too, said he thought Maci was acting like a “punk” by keeping Bentley for the holiday. “It’s so unfair,” he complained to girlfriend Mackenzie Standifer. “If Bentley wanted to go with him, I’d let him in a heartbeat, but I’m not going to make him do it just to make Ryan feel better!” Maci vented to a friend later. 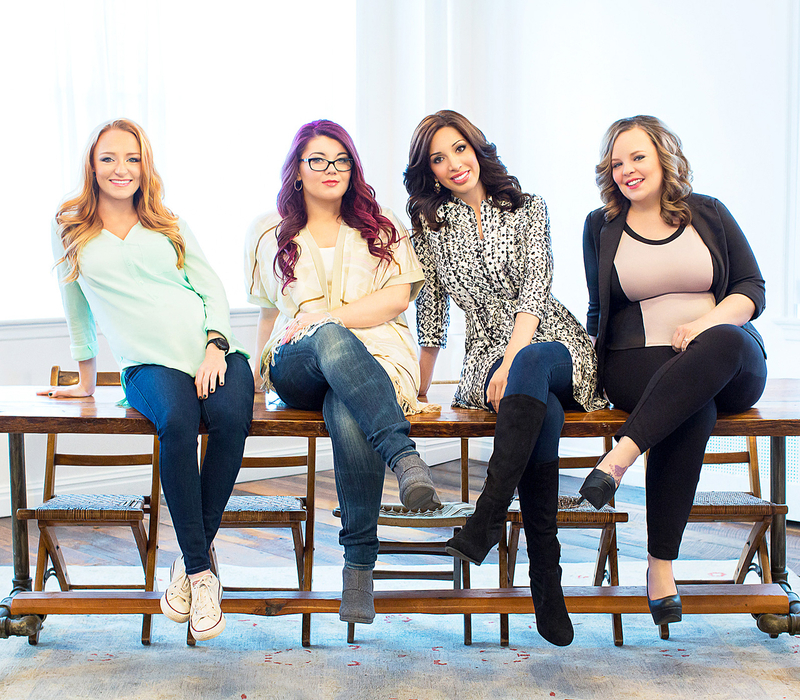 Tell Us: Are Maci and Ryan ever going to be able to move past Ryan’s former absenteeism?